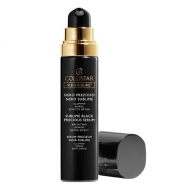 Fights puffiness and dark circles. 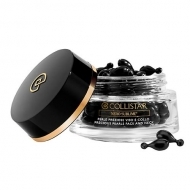 DESCRIPTION: Precious Pearls Eye Contour from Collistar are capsules indicated for the specific care of problematic areas of the eye contour. 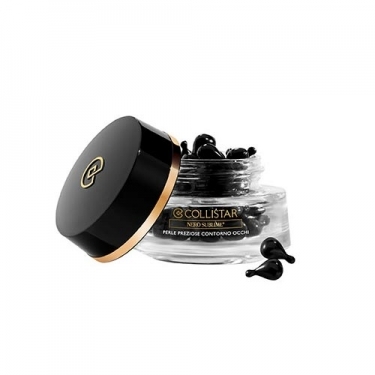 It is designed specifically for the sensitive areas of the eyes, providing a draining and anti-inflammatory effect that allows the reduction of eye fatigue by reducing swelling, puffiness and dark circles. 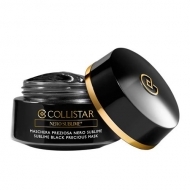 This product leaves the eye contour area looking fresher and brighter. Its formula features an innovative herbal complex, such as Orchid, Gardénia and Argan Oil, which leaves the skin more nourished, shiny and smooth. 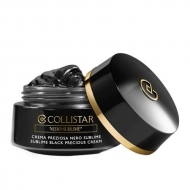 Its daily use stimulates the skin repair process, fights the damage caused by free radicals, pollution and toxins, while minimizing wrinkles and the appearance of signs of aging.